ASHLAND, Ore. — The Oregon Department of Fish and Wildlife is set to discuss rules for a new urban deer control pilot program Friday. Last year, Oregon legislature passed a bill which called for a program to reduce deer populations in areas where they’re causing damage, health and safety concerns. Locally, that could cities with high deer population like Ashland and Jacksonville. NBC5 News spoke to one Ashland resident who says the deer population is a problem, but wants the city to take care of it in a humane way. 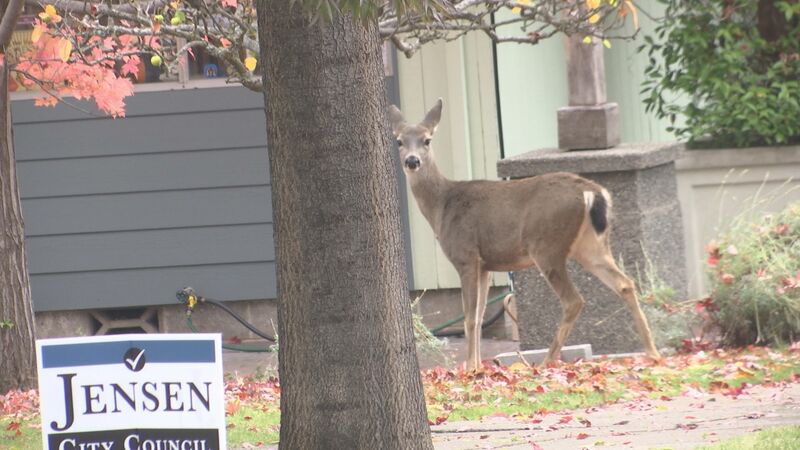 The cities would still have to designate areas within city limits where deer could be put down. Cities would also have to designate the manner in which it would take place, which could include firearms or by live capture.